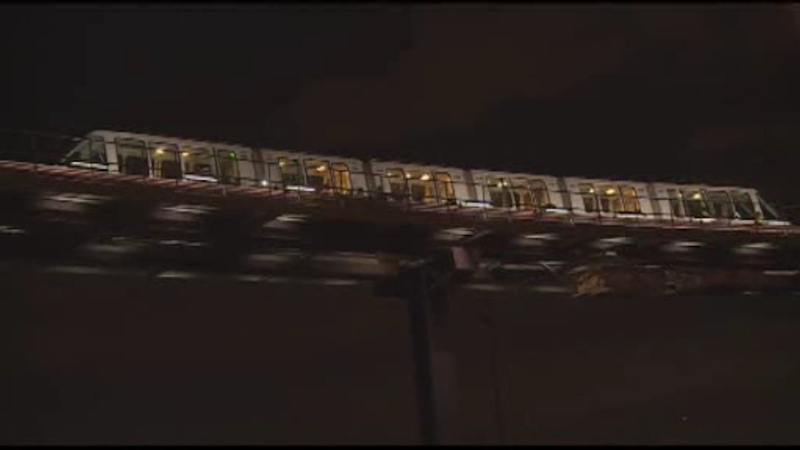 NEWARK, New Jersey (WABC) -- AirTrain service at Newark Liberty International Airport was temporarily suspended on Wednesday night, but has since resumed. According to reports, there were several trains that were stuck between terminals, which required dozens of passengers to evacuate at around 9:45 p.m.
Police turned off power to the system before removing passengers. Shuttle buses were available at terminals and stations during the AirTrain suspension. It's currently unknown why the trains became stuck between terminals.